This week's meditation, Ho'oponopono (excerpted from Advanced Chakra Guidebook by KG Stiles) is on forgiveness. Ho'oponopono is the Hawaiian code for forgiveness. In essence, it means to make things right with your ancestors or with the people whom you are connected and have relationships with, most especially yourself. In these first few days of 2012, I seem to be drawn toward meditations and conversations that center around starting fresh and "taking out the garbage". What better time than the beginning of a new calendar year to wipe the slate clean and clear out negative feelings and resentments? And right now, the natural forces of the waning moon can help you in this process - thank you Mother Nature! Ready? This is a challenging one - it requires you to really have an open mind. Try not to judge the meditation itself - it is a tool to help you become free of those negative emotions that have gotten stuck. 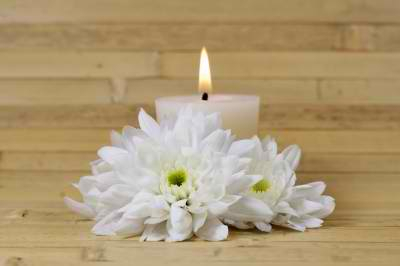 Get comfy - sitting on a cushion and place a candle on the floor in front of you. Calm your mind. Be quietly present with your sacred inner space where your personal "pilot light" offers you guidance when needed. Light your candle and focus on the flame. The candle's light reflects the Divine within you. To heal any discord or feeling of separation between you and the other person say, "I apologize. Please forgive me." By saying this, you are asking for forgiveness inside yourself in order to release and let go of the feeling of discomfort inside of you. It does not mean you are condoning anyone's behavior - just that you no longer wish to suffer from a past issue. Breathe deeply and exhale as you let go of any toxic emotions and stagnant energy. End by saying, "I love you. I thank you." Continue repeating this for as long as needed until you feel completely free. Repeat the meditation over the days, weeks or months as needed until you feel deep resolution at the core of your being. If you feel inspired to take some action after completing this meditation - do so! Your heart is wise. If you'd like to listen to the guided meditation or see the prayer that can be said at the end of the meditation, click here. I know - this is a heavy. But how nice would it be to clear yourself of some of the junk that finds a way to reside in our minds, our bones, and our souls? Do Your Actions Match Your Intentions?